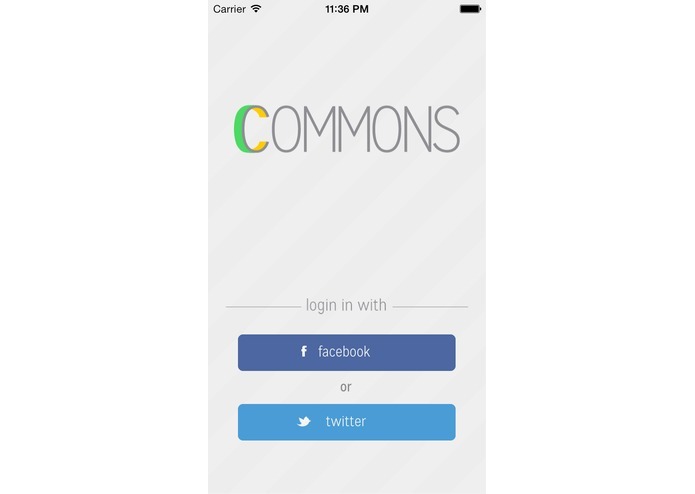 Commons provides a convenient platform to find out what your friends are doing and make plans. All you have to do is simply finish the sentence "Who is..." and Commons will find the answer for you. 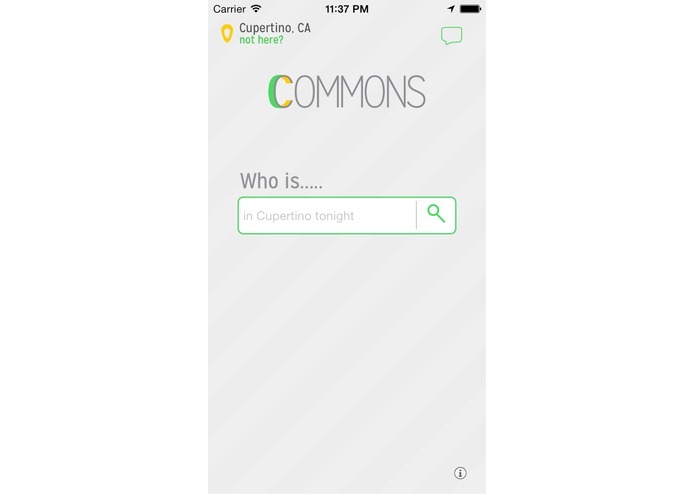 Using your location services, or your manually entered zip code, Commons will streamline which friends you see in your results. 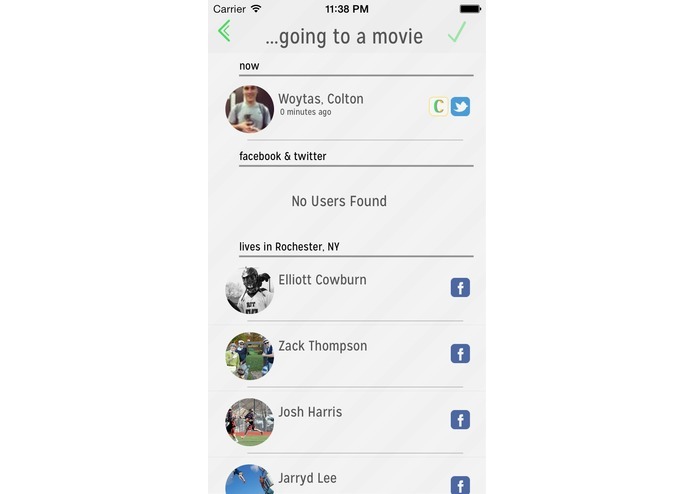 -This feature helps you to discover if any of your friends who aren't currently using the app have the same plans as you. -Tapping on any of the tweets or statuses will allow you to view the post in its entirety and give you the option of navigating to your friend's profile. 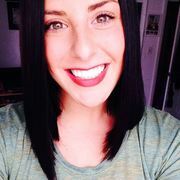 -This helps you meet up with friends if you are just on a quick business trip or home from college for a weekend and aren't sure who is around. On the page you can simply hit the "Me Too" button to confirm that you are also going to the airport. By selecting a friend who is a Commons user you will be taken to their profile page. 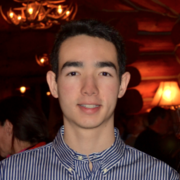 Their profile provides buttons linking to their other social media profiles, as well as a profile picture. 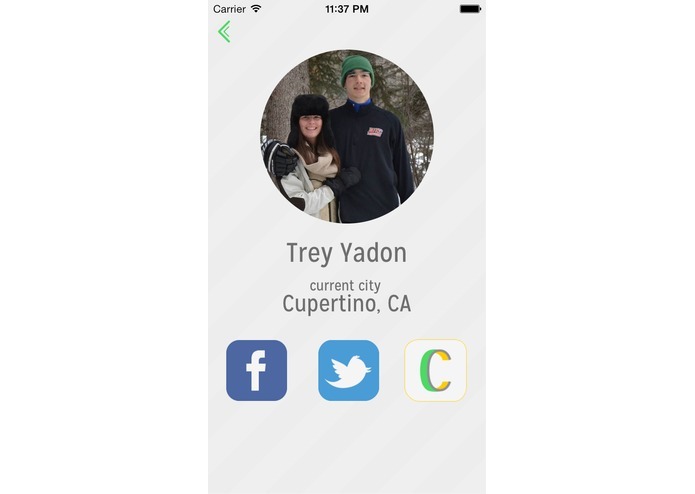 Also included on the user profile page is the ability to chat. This feature is extremely convenient because it allows you to figure out the finer details of your plans without having to navigate out of the app. If you have navigated away from your friend's profile you don't have to worry. The chat icon on the main page will notify if you have a new message. Clicking the icon will take you to a list of all your chats. Your own profile is also accessible from this page.